Master Minded fans may have had a shock on Saturday, when the Victor Chandler winner's lead was diminished to a disintegrating short head by the line, but the Paul Nicholls-trained eight year old is still the one to beat in the Champion Chase come March. Or so I reckon. Let's consider the facts. Firstly,Â Master Minded won the race. Okay, he looked like he'd win by as far as he liked after Petit Robin fell and severely hampered Kalahari King (more on those two in a moment). Granted, he was all out to prevail by the narrowest of margins as they smiled for the photo finish. And of course, Somersby would have won in another stride. But the Ascot race is a furlong further than the Cheltenham race. And the ground on Saturday was on the soft side of good, which it is unlikely to be come March. Master Minded is probably losing a yard of that brilliant speed he possessed earlier in his career (indeed one idiot on here - me, I think it was - suggested he might be a throwaway bet for the Gold Cup. Suffice it to say, I've thrown away that throwaway voucher!). For all that, he retains plenty and, bar the second horse, the remainder were seen off by twenty lengths and more. The runner-up Somersby is both consistent and frustrating. Consistently frustrating, one might say, if one keeps backing him. Clearly, he has huge talent, as podium positions in five consecutive Grade 1 and 2 contests testify. As a reliable punting proposition, he's a swerve for me though. I mean, even his trainer doesn't know what trip he wants and reckons he's a monkey... sorry, I mean a difficult horse to ride and train. She, Henrietta Knight - trainer of Best Mate and Edredon Bleu, no less - said, "I was really pleased with him as he is not the easiest horse. We were so sure that we wanted the Ryanair but after today's performance he showed that he is still able to hold his own at two miles so we might go for the Ryanair next year now." In other words, we don't know what trip he wants and he's a bloody nightmare to train. That is of course excessively harsh, but where my equine investments are concerned, I'm generally looking for a combination of greater certainty about ideal conditions and a bigger price than the 10/1 which is the best of the bookies' odds. Mad Max was third, and well beaten, seemingly without excuses. 40/1 for the Champion Chase is about right, I'd say, though again it wouldn't tempt me. I can't see how he could possibly reverse this form, and a place is as good as it can get for this chap. Fourth home was the desperately unlucky Kalahari King. Now, let me place on record my distaste for 'unlucky' horses. Unlucky horses tend to lead to unlucky punters and, if you want to do your dough, keep following a small herd of unluckies... But don't come crying to me. Kalahari King was not only unlucky, but he has been excessively well-touted as unlucky too. This means that everyone says 'he was unlucky'. Watch the race, and you'll see that - just as he was beginning to make his run from off what looked a strong gallop - Petit Robin decided to ground Geraghty and then swerve violently left. In so doing, he very nearly carried Kalahari King off the course (easy for me to say! ), and fair stopped him in his tracks. His resolution in re-rallying all the way to the line has led many, including connections it would seem, into believing the Ryanair is the optimum route around Cheltenham's Grade 1 action in March. I don't agree, but then I don't own, train or otherwise contribute to the wellbeing and financing of the horse. I wish I did! For me, he's an ideal type for the Champion Chase, having finished third in the race last year off a single prep run; and second in the Arkle in 2009. Further, the only time Kalahari King has won beyond 2m1f is when he scraped home in a Musselburgh novice chase two years ago. Hardly Ryanair-winning form, I'd conjecture. But, what do I know? Well, I know this. I would back him if I thought he was running in the two miler, and I won't be backing him in the 21-furlonger. Petit Robin had a lot made of his fall, because he was going well at the time. They were a bloody long way out, and he's never beaten Master Minded, so I've no idea why people would believe that Saturday was his day. He wouldn't have beaten Kalahari King, or Somersby, or Master Minded, in my opinion. Of those who were absent on Saturday, Big Zeb has some strong rivals to contend with but won't have been unduly bothered by Ascot's leading actors. Woolcombe Folly is unlikely to be good enough, though he has an excellent win strike rate; and Sizing Europe is not yet a confirmed starter (my Gold Cup wager means I'm hoping he runs in the longer race - he's also in the Ryanair, further muddying the waters). So, in summary, if you liked Master Minded for the Champion Chase before Saturday, there's no reason to change your mind now. The fact that he's skidded out to 11/4 with Ascot's big race sponsors, Victor Chandler, just means you'll get more jam on your bread if you're right. Hopping across the pond, as one can so very easily metaphorically do, Sunday's Leopardstown card had some excellent action and some mixed news for the Bisogno / Geegeez ante-post portfolio. 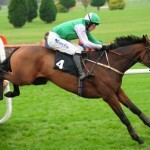 Hurricane: The Fly in the Champion Hurdle ointment? The big race of the day was the Irish Champion Hurdle where, in one of the most predictable finishes for years, Solwhit finished second to Hurricane Fly for the fourth time in their last five starts! Solwhit was beaten eighteen lengths by Binocular in last year's Champion Hurdle, and has never been beaten more than three and a half by Hurricane Fly. Despite the apparently facile nature of the Fly's recent small margin victories, it is notable that he has either won easily or not won. In other words, he might be truly exceptional. But he doesn't look to relish a fight, and it is almost impossible to entertain the Hurricane blowing all-comers away to such a degree that he doesn't need to battle up the hill. Moreover, he has yet to travel to Britain to race, and that is a significant negative in the context of the Champion Hurdle, about which I've pontificated at length elsewhere. In summary, Hurricane Fly may not have as much in reserve over Solwhit - let alone Binocular and co - as might appear at first glance. His lack of UK racing experience and fragile limbs mean if you really want to back him, you should probably wait until the day of the race. And if you're me, you will be looking for one (or two or three) against him. 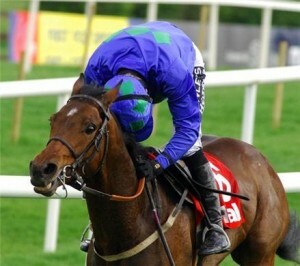 Hurricane Fly might be brilliant, and win the Champion Hurdle in a canter. I'll be betting against that eventuality. Elsewhere on the Graded stakes card, there was a win for Realt Dubh, who just got the better of Noble Prince in a head-bobber for the Grade 1 Arkle Novices' Chase. Having backed Noble Prince (Â£100 at 25's with Bet365) for the Cheltenham Arkle, I was quite pleased with this performance. Whilst Realt Dubh is a very good horse and, probably so is the faller Flat Out, Noble Prince is in there pitching and should give a good account of himself at Cheltenham. He should also go off somewhat shorter than the 25's I've secured and hopefully than the best priced 20's he is currently (only 10/1 with Paddy Power, who believe the Irish have a strong hand in the 2011 Arkle). The Grade 2 novices' hurdle over 2m4f had still more promising news for the portfolio, as Hidden Cyclone (backed at 46 for Â£12 for the Neptune, and 95 for the same stake for the Supreme) reverted to winning ways, with a bit in hand. Despite bungling the last he was comfortably too good for Ballyhaunis and the rest. He's a best priced 20's for the Neptune Novices at the Festival, but trainer Shark Hanlon sounded the alarms when he warned, "I'll have to talk to the owner Pierse Mee about Cheltenham, if he goes he'll probably go for the Neptune Investments but I wouldn't be keen on going. 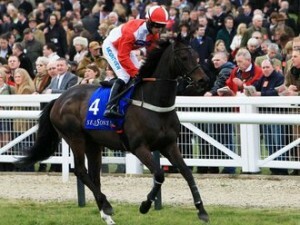 If he got cut in the ground at Cheltenham I wouldn`t mind going but he wants cut in the ground." Lastly, in the opener on the card, it was another notch for last season's Cheltenham Champion Bumper, as Day Of A Lifetime sauntered home in the opening maiden hurdle. He'll be tilted at bigger pots now and has the Supreme Novices Hurdle as a Festival target. 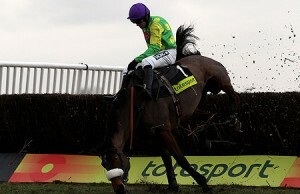 I'll be back tomorrow with an ante-post look at another of the major Cheltenham Festival races, so stay tuned for that. Forget Kalahari King for the Champion Chase as he’s not even entered! Instead take the 16/1 each-way for the Ryanair, it’s a no brainer. This horse always shows his best form from February onwards, he’s run placed at the last 3 Cheltenham Festivals and he’ll love the trip. With most of his market rivals not even confirmed for the race he’ll be much shorter by race time. But be quick the 16’s is disappearing fast…..
Hi Gavin – welcome back!